We were formed during the Bosnian War (1992-1995) as a means of providing emergency relief to help our Muslim brothers and sisters displaced by the war. 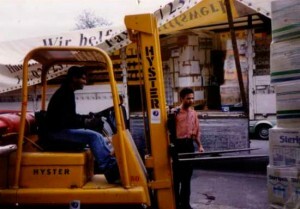 In a considerably short time, we managed to despatch 72 truck loads of food, clothing and medicine to Bosnia. The war-torn streets of Bosnia. Three shipments of air cargo consisting of blankets and medicine were sent to Pakistan for flood victims. More recently, a fully equipped ambulance has been sent to Albania. MCC has opened six schools in Lahore, Pakistan, under the name of PAK-UK Welfare Centre, and two free public dispensaries. Muslim Community Care builds schools for women and girls in remote and rural areas of Pakistan, to give them such vocational education and training to enable them to contribute to their families. The girls earn vocational diplomas in embroidery, cutting and stitching for the garment industry, as well as literacy skills. On completion of the training, they are given a sewing machine so that they can begin earning the cost of living immediately. If any trainee wants to open a further school, MCC gives them financial aid to help them. In this way, we have financed six schools in different areas of Pakistan, with plans for many more. We help the schools to to meet their administrative and running costs until they are self-sufficient. A further school has been opened to give training in English, industry and computer skills. We get local businesses to accept our students on work placement places, in the hope they will be offered full-time positions when they leave school. We have recently completed building 28 houses suitable for elderly people near Bank Stop ferozepur Lahore, enabling whole families to remain together.